When it comes to choosing a learning management system (LMS), it’s important to know exactly what you are looking for. There is so much choice in terms of features, benefits, scalability and so on that it is easy to feel overwhelmed, especially by options that seem to offer everything. The truth is that many LMS systems are based on generic and outdated ideas about how online training works. This results in static and stagnant offerings in an industry that is constantly changing and developing. Many buyers feel forced to choose between limited options that require them to compromise on key requirements. Others are tempted by white label options which, though cheaper, will often fail to respond to their specific needs and objectives. Finally, many customers end up spending more on LMS systems with features that they simply do not need for their own learning requirements. The Learning Ecosystem is an LMS system designed to be fluid and reactive, both to industry developments and customer requirements. 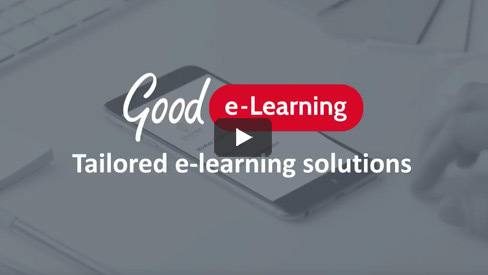 Built using Docebo, one of the world’s most popular LMS systems, The Learning Ecosystem meets the requirements of customers in terms of both their employees and key business objectives. Good e-Learning can even provide bespoke versions of the platform, giving businesses a branded and highly-effective platform for upskilling employees. Want to find out more about the Learning Ecosystem, book a FREE demo today!